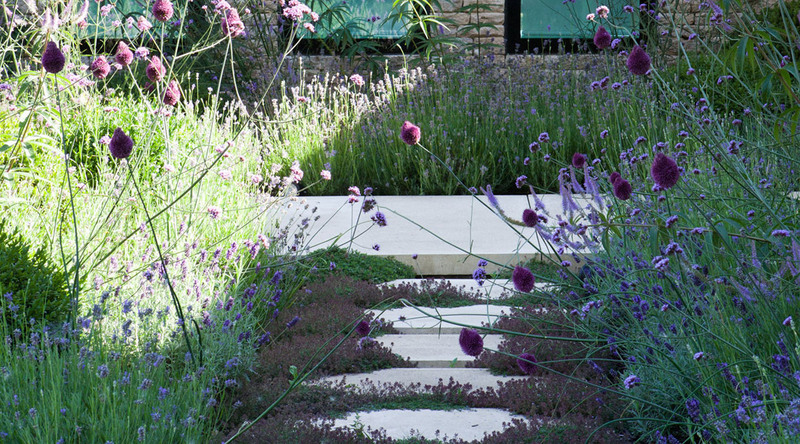 This was one of our first new build gardens at SEED and one of the most challenging. 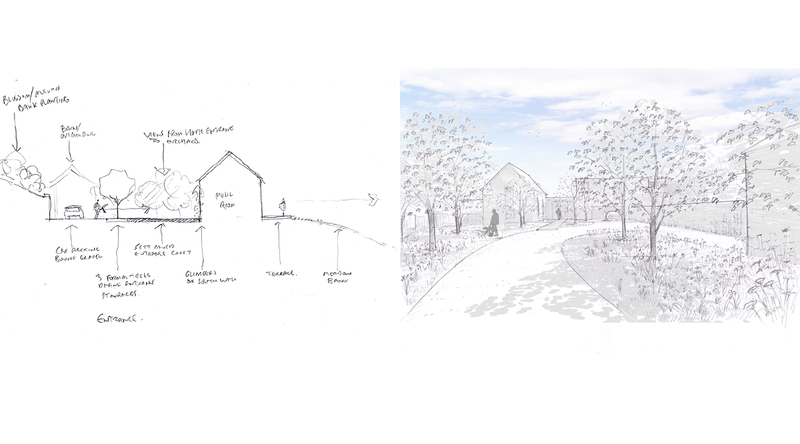 We joined the design team post planning and were required to help integrate the new building into its setting at the same time incorporating a series of garden rooms into the footprint of the building. 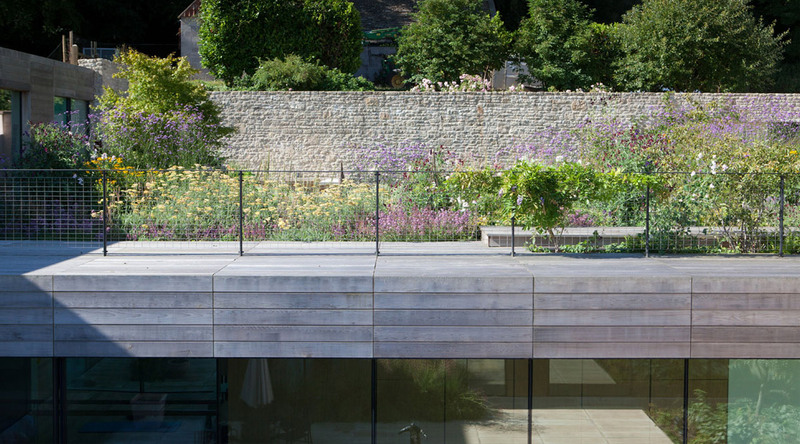 We worked closely with Seth Stein Architects to create a seamless transition between the inside and outside spaces and to make sure that the garden contributed to the overall flow of the house. The building is set in a north-facing valley on the outskirts of Bath. 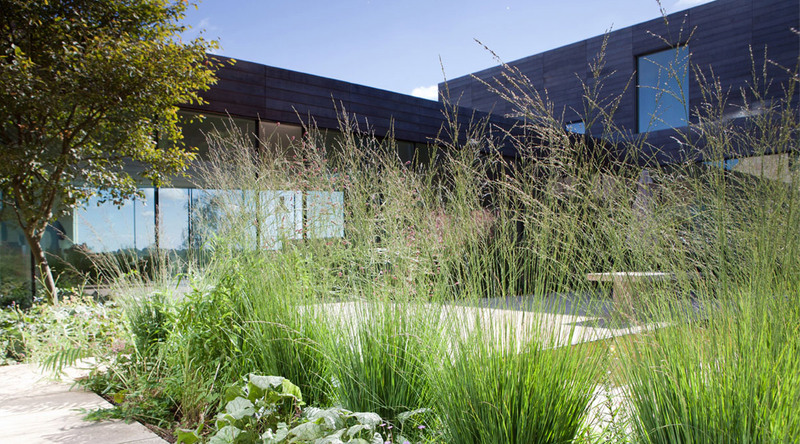 To the north of the building are two floating terraces, which overlook a sculpted meadow landscape. 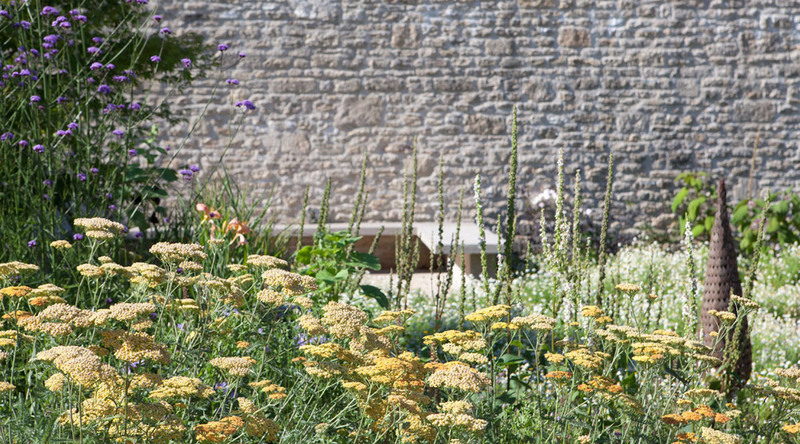 Around and within the buildings are a number of courtyard gardens that emphasise the strong relationship between the garden and inside. The first garden room is the central courtyard. This is very much an extension of the contemporary kitchen with its simple, formal lines. 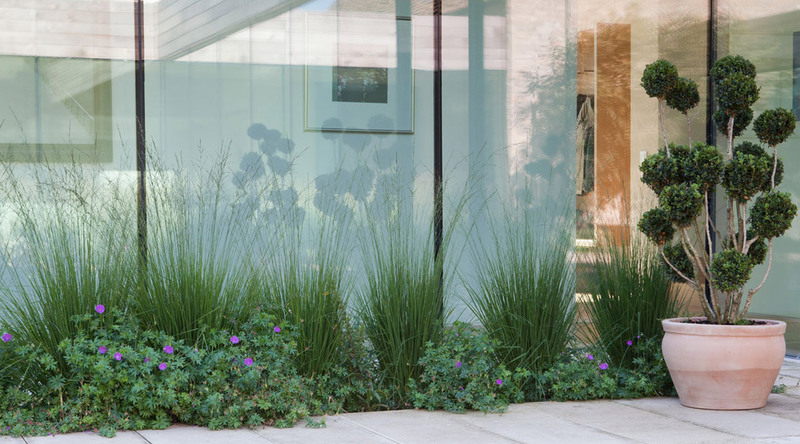 We extended this formality outside with simple veil planting and a calming water feature. 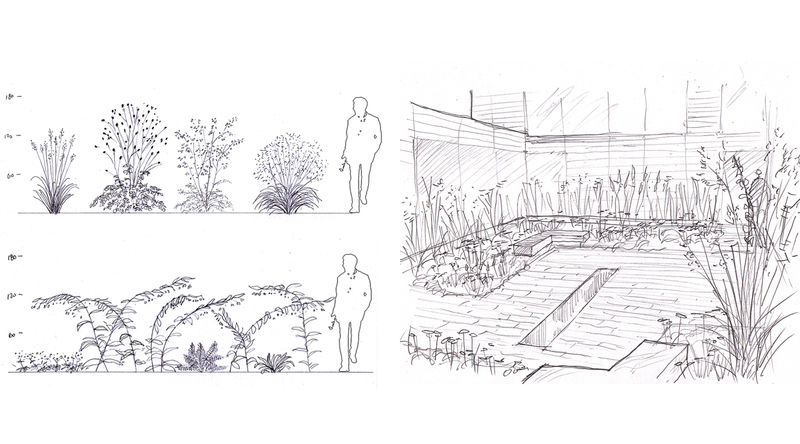 The second garden room is the top courtyard, which is in fact a roof garden. 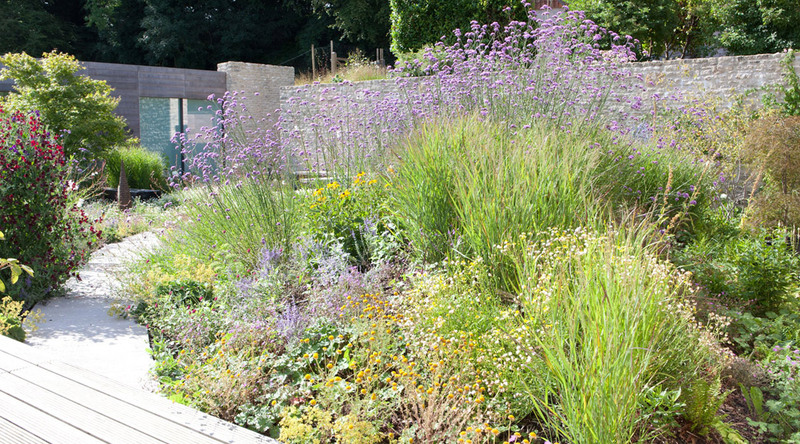 This flower garden has been carefully designed to flourish in a lightweight growing medium just 30cm deep. 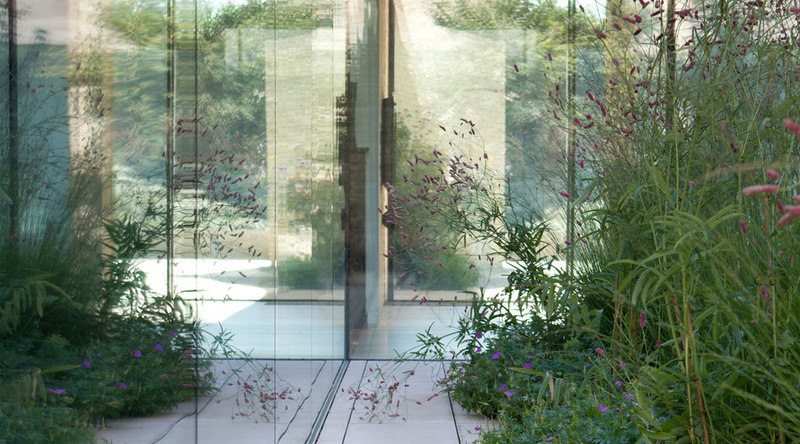 Within and immediately adjacent to the building, the garden spaces tie into the architecture and to the way that the internal spaces are used. Outside of the building curtilage the landscaping is focussed on settling the building into its surroundings. 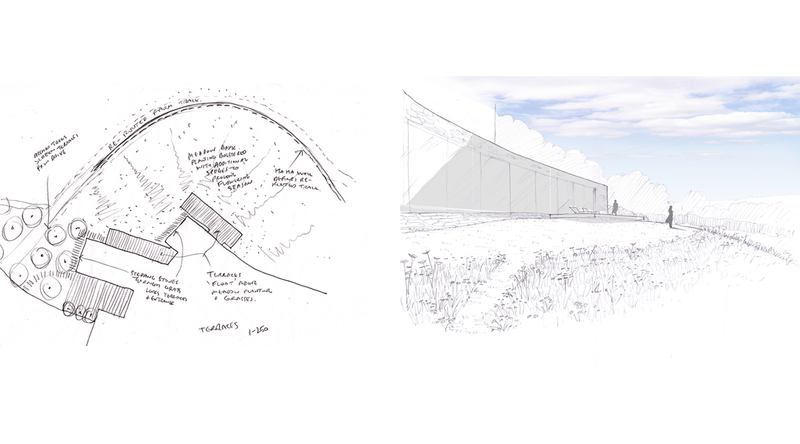 To the south of the house we proposed a ‘seasonal spine’. This provides a year round backdrop and a transition into the mature beech woodland behind. 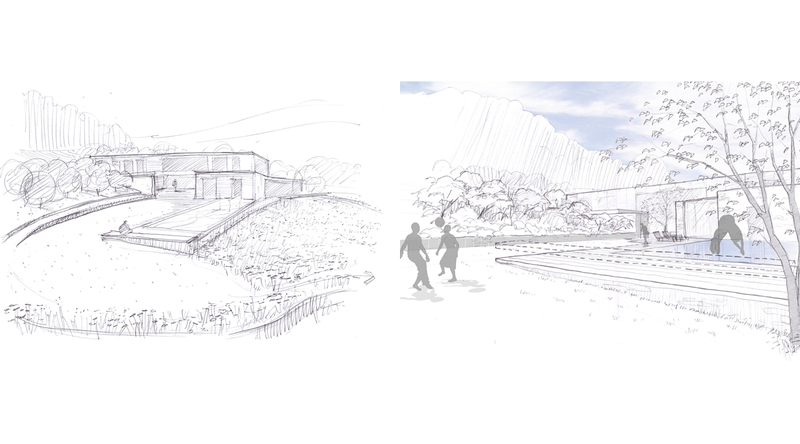 The approach to the house creates a sense of arrival and provides a transition between the countryside without and the minimalist architecture within. 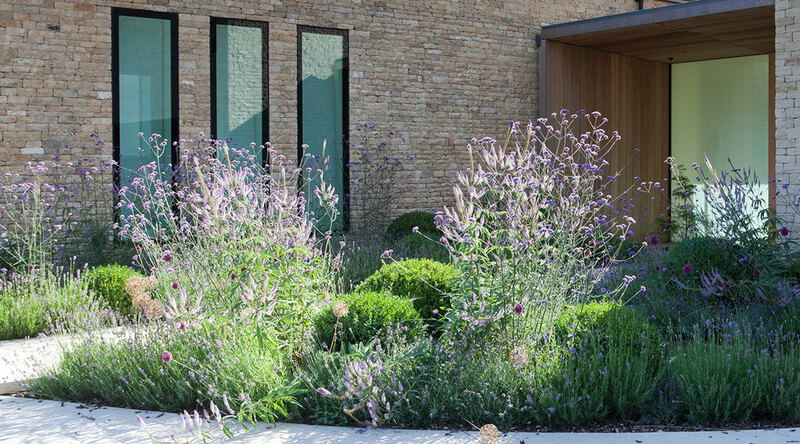 The lower courtyard is a natural extension of the living spaces that surround it, with continually evolving veils of planting. 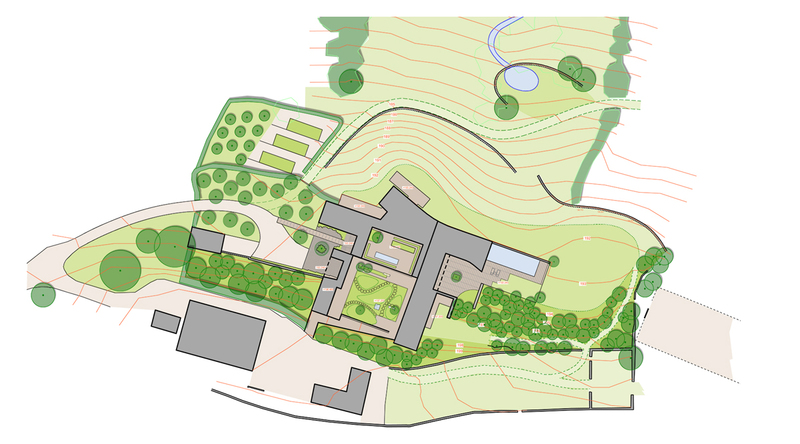 The swimming pool is partly inside and partly outside the house and whilst swimming you look out across new native meadows to the valley beyond. 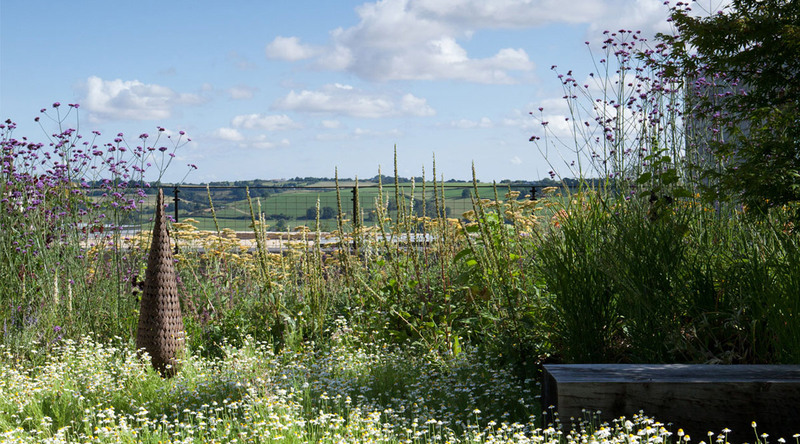 The new native meadows flow right up to the northern side of the house where we created two ‘floating’ terraces which make the most of the stunning views over the meadows to the valley beyond.